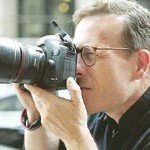 World famous fashion photographer, Scott Schuman, talks about the business of blogs and how he sees the world in images. There are hundreds of street style blogs around the world, some distinct, and few that really make money. 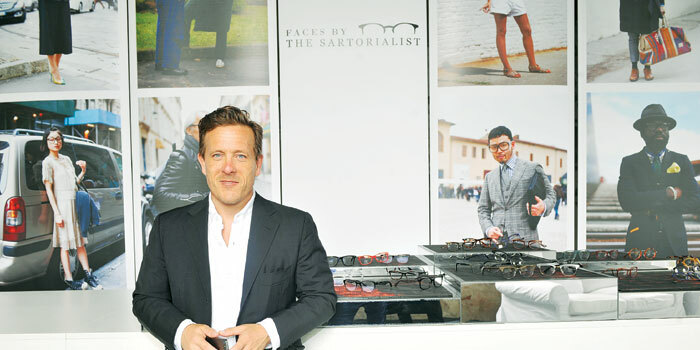 Scott Schuman, arguably one of the first to start the trend with his blog, The Sartorialist, in September 2005, is successful on both counts. The fashion photographer has been featured in countless magazines, contributed to ad campaigns, has fashion majors taking pointers from his blog, has bestselling books and has a community that continues to grow, courtesy his social media efforts. He has 4,50,000 followers on Instagram, and at least 7,50,000 visitors a month on the blog. Funds pour in through affiliated links and business partnerships, and Schuman now has a new project a�� Faces by the Sartorialist. It is a portrait series with Italian eyewear giant, Luxottica, and sees closer shots, and the most unusual frames. a�?The face, glasses, hair, expression, light and location come together to create the right shot,a�? begins Schuman, who is currently in India on work. This is his second visit to the country and with the itinerary a��A� a�?put together by a young friend from Indiaa�? a�� including Varanasi and Mumbai besides Rajasthan, Schuman plans to get the most out of his two-week trip. Like Shanghai, which he visited recently, he says India is a�?like a balloon about to explode, fashion wise.a�? a�?Glasses help to tell a story, like the lipstick and hair,a�? he shares. While the internet is full of ‘how to get on The Sartorialist’ tips, and earlier interviews had him refer to shoes as the deciding factor, Schuman says the process is intuitive. a�?I don’t look for the truth. I am not a reporter. I like to imagine a story and the eyewear certainly helps with this,a�? he continues, adding that he prefers to keep the mystery and therefore posts little or no information on his subjects. a�?I like romance and the potential in pictures that don’t give everything away,a�? he reiterates. Faces by The Sartorialist sees him keeping an eye out for people who wear their eye glasses with unusual flair. Angelo Flaccavento, an influential fashion critic in Milan, is one of the many collaborators Schuman will be working with on this project. On the blog, he and other famous visual artists will discuss their intimate, yet ironic relationship with eyewear. The social implications in each shot on The Sartorialist is interesting, capturing details people will refer to many years from now, to understand the period we are in. For instance, it will be interesting how divisive factors like a subject smoking or wearing fur in a shot will be viewed half a century later. A Schuman, who is a self-taught photographer (save for basic classes on printing), took to the streets to capture people on his camera back in 2005. As a stay-at-home-dad for two years, he picked up the finer points from magazines and books and practised by photographing his children. Soon the diminutive American in his 40s was photographing some of the most important editors and models in fashion, outside the biggest fashion weeks around the world. There were strangers too, and the people he photographed, like Anna Dello Russo, from Vogue Japan, went on to captuere people’s imagination. He calls it his digital park bench. Relying on his iPhone 5S, his Canon 5D Mark III and basic software, Schuman says what matters most is the light. a�?You must use the light well and get a pose. Even if it is on the go, you don’t have to take your photo fast. You must follow the rules of composition,a�? shares the fashion insider who has also begun making short films and has also experimented with internet TV. Taking easily to all modes of communication, he says that Twitter and Facebook has its purposes but that Instagram is what he relies on when a�?in the mooda�? and the blog for a perfect shot, to be posted at leisure. With a background in women’s fashion a�� he used to run a showroom before he turned photographer a�� Schuman says he shoots women on experience and men on instinct. a�?For the latter, I look for the cool swagger, the bravado and the humility. It is very personal.a�? Neatly catalogued series on his blog make it easy to look up archives and Schuman’s photos of older people get a lot of comments. a�?The shots of older people work well. I don’t take quotes. I work with the same respect and integrity as I would for a hot 24-year-old girl!a�? he insists, adding that he is far from patronising and this is conveyed in the photos. 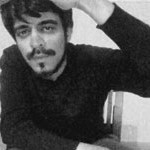 How is Schuman different from the me-too bloggers filling up the online space? a�?I’m standing in the middle of India, when it’s not even fashion week. I am shooting real style, not based on a price tag but on the quality and beauty of colour, pattern and texture. It is the same, whether it is in Milan or India,a�? he points out, sharing that shooting camels is not everyone’s idea of fashion photography. And how does Schuman successfully decode the business of blogging, given that traffic numbers are spiking? A few years ago, he told Imran Amed from the daily online fashion resource, the Business of Fashion, that the site redesign helped. He manually re-tagged more than five years of posts himself, making it easier for visitors to search his growing archive. He also a�?understood the value of strategically associatinga�? himself with the mainstream fashion media, who took interest in his photographic style. a�?There were no important blogs at that time, so (I needed) to saddle up with someone to get that stamp of approval,a�? he had explained to Amed. First came Style.com, then GQ, by which time, he was attracting global attention. 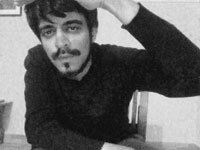 He began exhibiting his work in galleries and selling his prints as works of art. He also sells images to magazines and ad space on his blog. Together with his books, he seems to have his act in place. It’s no wonder that Schuman’s views on photography are much sought after. The most important point to remember, he says, is that a�?You can’t make a good image happen, but you can put yourself in the right place.a�? Manou, Indiaa��s famous street style blogger who made an impact in 2010 with Wearabout, observes that many of our fashion bloggers lost focus when they began including other features like beauty and food. Now, ita��s mostly magazines that commission street style photos. Like Schuman, he too is currently taking a creative detour in Pushkar, and on the last day of the annual camel fair, has posted pictures of Rajasthani women and artfully garbed gypsies on his blog. A permanent blogger at India fashion weeks, Manou, 30, has a book coming out soon. Comfortable taking photos with his iPhone and his Nikon D7000, he likes to interview his subjects and give direction to a shoot. But he has no business model, keeps ads off his blog, and depends on commissioned works (most recently with the Tommy Hilfiger fashion brand) to get by. Something else he shares with Schuman? Like the Sartorialist, he finds his subjects outside fashion weeks and was invited by luxury label, Burberry, to contribute to the Art of the Trench project (photographing a�?reala�� people with trench coats). While Schumana��s first book, also titled The Sartorialist, is an anthology of his favourite images, his second, Closer, has images from travels to Japan, Korea, London, Milan and so on and gets closer to the type of people he wants to shoot. His first book keeps selling, despite the fact that the pictures are several years old, proving that a�?real people dona��t care so much about momentary changes in fashion.a�? The third book he is currently shooting for, is scheduled for mid-March 2015, and will possibly have images from Shanghai, Dubai and India. a�?I dona��t really know yet, what ita��s going to be about,a�? he shares.